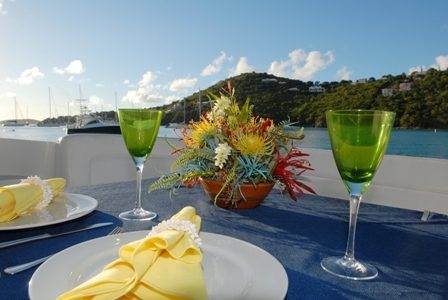 St. John Catering / Mathayom Private Chefs welcome you to sunny St. John and St. Thomas in the beautiful US Virgin Islands. We are here to help make your stay more relaxing and enjoyable by offering a variety of catering services to accommodate any palate and budget. 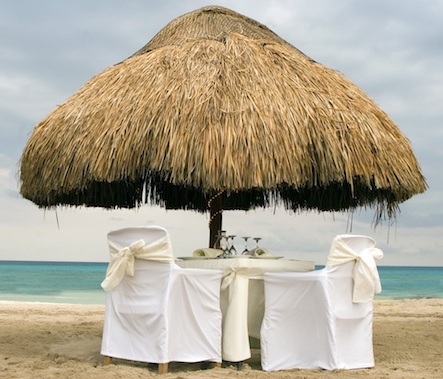 Whether your wish is to have an elegant formal or informal dinner prepared by a personal private chef in the comfort of your own retreat; an amazing gourmet meal that appears effortlessly at your doorstep or beach blanket, the wedding of your dreams, or simply a house full of groceries when you arrive, we are at your service. We take pride in providing generous hospitality and highly personalized service to each client, offering custom menu development and the highest quality local ingredients available. With over 20 years of experience, proficiency in all styles of cuisine, and a sterling reputation on our tiny islands, St. John Catering is ready to pamper you. Why St. John Catering / Mathayom Private Chefs? Who will I be meeting? 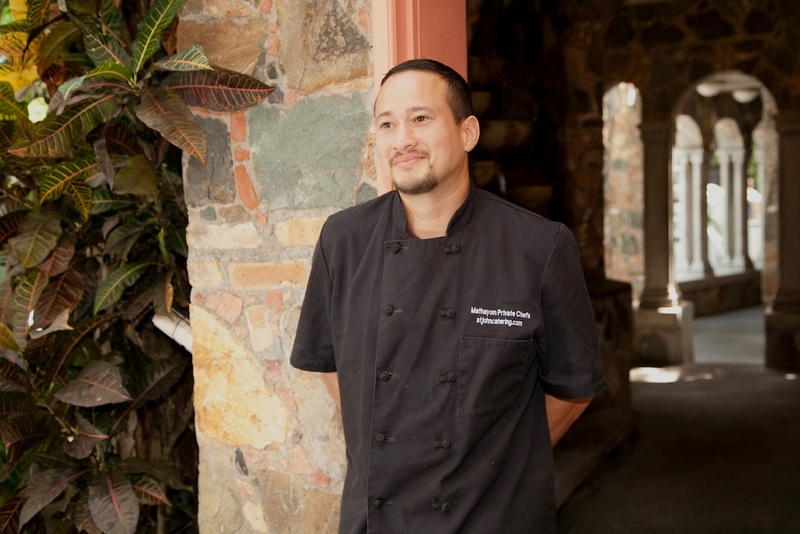 Chef Mathayom (Mat) Vacharat has been professionally working with food since 1993 and has been Executive Chef at several of St. John’s premier restaurants, including Asolare on Caneel Hill, Paradiso at Mongoose Junction, Chateau Bordeaux, and Chloe and Bernard’s at the Westin. Although his culinary forte is Asian Fusion, he also is experienced in Caribbean Flair, Progressive American, and Italian Comfort cuisines. He also is available for vegetarian, raw foods, or other menus with restricted diets.Chef Mat uses only the freshest available product and tends to create custom menu items based on seasonal accessibility, be it seafood, local fruit and produce, or organic greens. Our wait staff is experienced, professional, friendly, and courteous, so let us indulge you. Whether you intend to enjoy the privacy of your retreat or plan the extravaganza of a lifetime, our goal is to make your life more enjoyable during your stay. Food, drink, and service can all be provided for you and your guests, leaving you time to enjoy our beaches, go scuba diving, take a sail boat or power boat out for a day charter, parasail, go kayaking, go hiking through the National Park, or simply lounge around the pool and work on your tan. We like to think that we have something for everybody, but if you don’t see what you want, please ask. We look forward to serving you. To help make your day perfect, we offer a variety of additional services including professional and attentive staff, full or limited bar, furniture and equipment rentals, china, glass and silverware rentals, luxurious upgrades and much more! You must consider all that we have to offer under our exclusive Luxury Services section. From having a meal catered on a boat or helicopter ride to dining on a private island whatever you can dream up, we can make it happen. To enhance any event we can include fire dancers, a steel pan player, live music or DJs--we will take care of all of the coordination and details. You think it up, we make it a reality. We will even do all the bookings for you. From transportation to entertainment, we will act as a full service concierge to our catering clients only. Visit us on Facebook, Tripadvisor and Wedding Wire! Thank you for your interest in St. John Catering and Mathayom Private Chefs. We can't wait to hear about your ideas for your special event or in-villa dining--and we're here to help. If you would like to send us a message, fill out the form below! Check us out on What To Do VI!